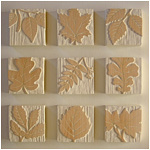 White Berry Vine Wall Squares | 13" sq. White Leaf Squares | 6" sq. 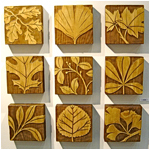 Contemporary Leaf Squares | 8" sq. Brown Leaf Squares | 6" sq. 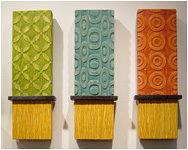 Brown Flower Vine Wall Squares | 13" sq.